Eating banana is one thing and applying it on your face is the other! Both are amazingly good for your health. Simple beauty tips for your face based on the application of this easily available fruit! The humble banana; a fruit that brings much nourishment to the body and also helps keep us beautiful as ever! Yes that is so true! Ever wondered why grandma wiped her face using the peel of a banana? Grandma didn’t have all the beauty lotions and potions back in her day, at her disposal. However, she had secrets in her kitchen- she used amongst the many products, bananas to help her skin glow and stay tight and firm. Surprised? Don’t be! 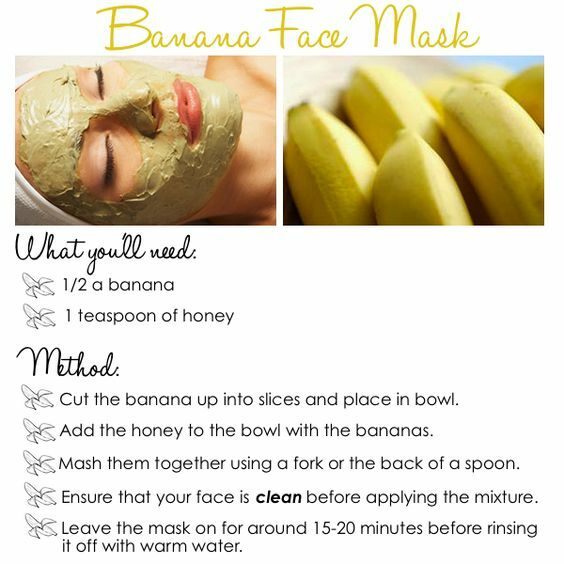 Grab a pen and paper and jot down the simple beauty tips for face using banana! Get hold of two large ripe bananas and cut them into pieces. If you have dry skin, add a tablespoon of honey to the pieces or just let the pieces be as they are. If you have oily skin, add a tablespoon of fresh lime juice to the pieces, or let the pieces be as they are. Mash the banana pieces with the addition as per your skin type and form a gooey paste. Apply the paste on your face and neck, and wait for ten minutes. The moment you feel your skin is stretchy and dry, wash the paste off with warm water. Pat dry and moisturize the skin. Do this thrice a week and watch how the pimples, acne and spot from the face disappear. Let’s face it; we all want to look evergreen and gorgeous, and we shall stop at nothing in achieving the same. Signs of aging cannot be completely reversed though, but what can help is to reduce the signs and stop them in the bud for a long time to come. For the same, we shall use a cup of yogurt, half of a ripe banana and a teaspoon of honey. The minerals from the fruit, the probiotic touches of yogurt and the hydrating powers of honey would be manna to the skin. Aging signs would be brought down with this mask. 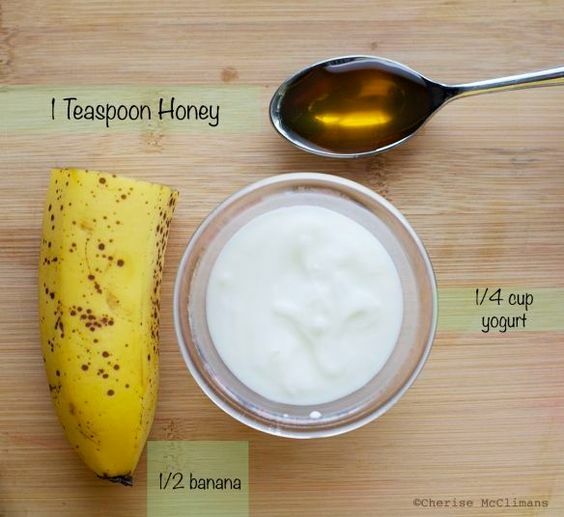 Mash the ingredients in a blender and apply on the face. Wait for half an hour and wash off with cold water. Pat dry and moisturize the skin. Do this twice a week. Ditch those costly OTC products filled with chemicals that promise the fairness on your skin tone that you want! 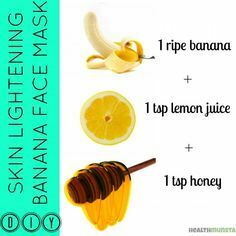 With the help of one large ripe banana, a tablespoon of honey and lime juice each, you can make your own skin lightening pack at home. Perfect for all skin types, your skin not only gets the nourishment and exfoliation it needs, but also gets lightened over time. Mash the ingredients in a blender and apply on the face. Wait for half an hour and wash off with cold water. Pat dry and moisturize the skin. Do this thrice a week. We all desire to have a flawless touch on our skin, but don’t have the time or the inclination to care much about the most important organ of our body. Take five minutes each night before you shower, and use this face mask we are about to teach you- helps feed the skin, cleanse the pores, nourish the cells and improves circulation too. You would need half a banana, half an orange (juiced) and a drop of any essential oil. Mix them all in a blender and apply the pack on your face each night. once dry, wash off with warm water and gently rub the skin while doing so. If your friends have been telling you that your face shows plenty of signs stating you are tired, when you are not- it’s time to change your facial cleansing routine. One large ripe banana should be mashed with one raw egg. Beat into froth and apply all over the face. Wait for ten minutes and wash off with cold water. The egg helps firm up the face, builds collagen and elastin while the banana paste helps condition the skin. Do this twice a week! If you have your own banana beauty tips to share, do write in!